Food and drink makers could be asked to clearly tell consumers how many teaspoons or cubes of sugar their products contain, the public health minister suggests. Jane Ellison says civil servants will look closely at the proposals as part of efforts to tackle the nation's obesity epidemic. Obesity is linked to diabetes - a condition that can be covered among holidaymakers by specialist diabetes travel insurance - and other health problems. The recommended maximum daily sugar intake for people of 11 and over is the equivalent of between six and seven teaspoons - or seven cubes. 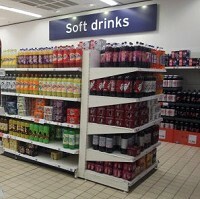 But concerns have been raised that some soft and fizzy drinks contain far more than that in a single can or bottle. Ms Ellison says substantial work needs to be done by the food and drink industry to help combat obesity. Her comments have raised hopes that manufacturers will be asked to include sugar content details on the front of containers next to other nutritional information. But she says even if the move gets the go-ahead, EU rules mean the measure will have to be a voluntary one. In a debate, MPs have been discussing a petition led by TV chef Jamie Oliver that calls on the Government to implement a sugar tax for soft drinks. Conservative MP Dr Sarah Wollaston is chairman of the House of Commons' Health Select Committee. She says she believes the celebrity chef has made a very strong case for labelling sugar content in teaspoons on the front of soft drink packaging. Dr Wollaston says there is a need for products to clearly tell people how many teaspoons of sugar they contain. And she says such a move would benefit those manufacturers who are seen to have made efforts to lower the amount of sugar in their products. Ms Ellison says she has had promising talks with some manufacturers on the issue. But she says more progress needs to be made, adding that change can be brought about through consumer power.